Updated exhibit Canal Zone: The 1926 Sesquicentennial Issue by John Wynns. Added new exhibit The First Two Issues by Mike Ley on the Exhibits page. Added new exhibit Exclusive Uses of the 50 Cent Prexie by Mike Ley on the Exhibits page. Added new exhibit The 1991 'F' Tulip Stamps and Their First Day Covers by Tony Dewey on the Exhibits page. Added new exhibit Japan United States Treaty Issues of 1960 by John Wynns on the Exhibits page. Added Gregory Scott Ward and John A. Pare to the Diamond Award Winners page. Added new exhibit The 5c George Washington Regular Issue of 1962: Usage and Rates by Steve B. Davis on the Exhibits page. Added Robert T. Burney to the Diamond Award Winners page. Added Joe Youssefi and Darrell Ertzberger to the Diamond Award Winners page. Added Master Cross Reference for Path to Gold And Sources. Notes: The current Director's whose terms are ending are Larry Fillion and Don David Price. Ed Andrews has indicated that his is not running for another term as Treasurer. Added the 2016 Youth Champion of Champion Winners. Added the 2017 Youth Champion of Champion Exhibitors. Added new exhibit Queen Victoria's Diamond Jubilee Issues of British Guiana by John Wynns to the Exhibits page. Added Ameristamp Expo 2017 1 Frame Competition Rules. Added Ameristamp expo 2017 1 Frame Competition Registration Form. Added new exhibit The Ramayana by Eli Moallem to the Exhibits page. Added Kathy Johnson to the Diamond Award Winners page. Add Nassre Behruz and Kathy Johnson to the Ruby Award Winners. Added three new exhibits by Peter Jeannopoulos to the Exhibits page. Added new exhibit Haiti's Earliest Air Mail, 1921-1925 by Peter Jeannopoulos to the Exhibits page. Added two new exhibits by Peter Jeannopoulos to the Exhibits page. Posted more Plans And Headings Award Winners. Posted more Award of Honor Gold Award Winners. Posted more Award of Honor Silver Award Winners. Posted more Novice Award Winners. Posted more Creativity Award Winners. Added list of Seminars and Meetings for New York 2016. Added list of Exhibit Tours for New York 2016. AAPE is now accepting Pre Order (at a discount) sales for "The Path To Gold" - 175 Proven Stamp Exhibiting Tips, By Steven Zwillinger. Please go to the Book Order page on the AAPE website. AAPE has been spreading the word that the Draft 7th Edition of the APS Manual of Philatelic Judging and Exhibiting will have a public comment period. AAPE Members - the time is NOW. 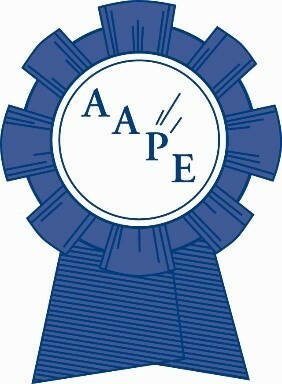 Go to the 7th-Edition-Judges-Manual page on the APS website. This is your chance to supply your input - comment period ends May 1st. Added two new exhibits by Tom Bartshe to the Exhibits page. Added new exhibit by Kenneth Grant to the Exhibits page. Added new exhibits by Larry Fillion, Fran Adams, Greg Galletti, and Blanton Clement Jr. to the Exhibits page. Add Mark Schwartz to the Ruby Award Winners. Added Stephen Tucker to the Diamond Award Winners page for his exhibit "Pan American's Pacific Clippers 1935-1941"